The Malaysian Automotive Association (MAA) and Interexpo, organiser and show manager respectively, have firmed up showcases and activities for Kuala Lumpur International Motor Show 2013 (KLIMS13). Our home motor show will be held from November 15-24 at the Putra World Trade Centre. Confirmed show attractions include the Malaysia International Auto Salon, The Tamiya Remote Control (RC) Car Race, the American Classic Cars Showcase and F1 simulators. The Tamiya RC race will take up the entire deck at the mezzanine floor of Hall 1. 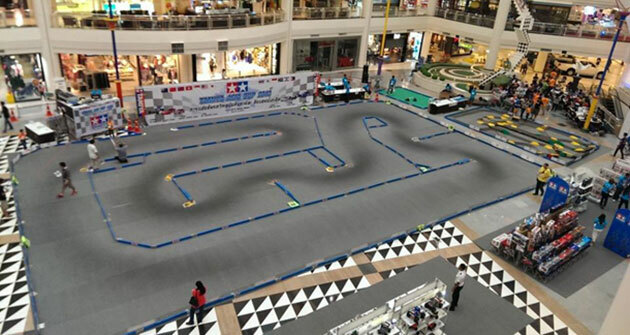 There will be four categories – RC Race, Drift Race, RC Mini Z Race and the Mini 4WD Race. Open practice sessions will be conducted from November 15-22, the qualifying session will take place on the 23rd, with the finals happening on the last day of the show. A collaboration between the organisers of KLIMS13 and Tom’s Stickers, the Malaysia International Auto Salon will focus on the aftermarket scene and modified cars, of which more than 30 rides will be displayed at KLIMS13. Prizes go to the best body kit, interior, paint and stickers. Visitors can vote for their favourite car in two categories, Open Standard and Open Extreme. If old American muscle is more your kind of thing, check out the American Classic Cars Showcase, where 25 big and shiny rides wearing Pontiac, Dodge, Ford and Chevrolet badges will be on display. Want to get hands on? 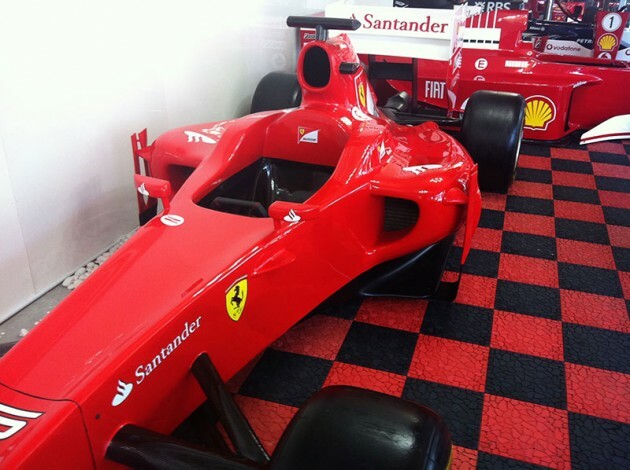 Take part in the Formula 1 simulator challenge for adults, ladies and children. There will also be a KLIMS13 Celebrities Day featuring Fizo Omar, Jehan Miskin, Thanuja Ananthan, Nadine Ann Thomas, Safee Sali and Altimet, among others. The local stars will make their appearance on November 18, from 2.30pm to 4.30pm, and on November 21, 6.00pm to 8.30pm. Ticket prices will remain as with previous shows, at RM15 for weekdays and RM20 for weekends. Kids under 12 will enjoy a concessionary ticket rate of RM5 for all days. There’s also a family package for parents with children under the age of five, at RM30 for the whole family on weekdays and RM40 on weekends. Tickets can be bought online at www.klims.com.my and www.airasiaredtix.com, as well as at PWTC on show dates. Lucky visitors stand to drive away with a Toyota Prius 1.8L Luxury or the Honda CR-Z. In addition, Maybank customers have a chance to win a Volkswagen Beetle 2.0L TSI at KLIMS13. Whoa! Is that a Malaysian registered classic Dodge Charger R/T? So far I’ve seen a classic Malaysian reg. Chervolet Camaro SS, on photos.Nice muscle cars..
yup yup. I wonder who’s the owners.. all these muscle cars looks and sound far more interesting than those F1 cars..
Wonder if these 25 cars can make a trip to SG soon? Well… true la shouldn’t have used SGD$ to compare with the cost of living in Bolehland..
Can’t really see from the pic, but if it is a real Charger R/T, the engine options would be either 440ci (7.3L) OHV V8 or the fabled 426ci (7L) Hemi OHV V8. The 440 offers much better drive (more linear torque o/p) as compared to the more famous (and expensive) Hemi. Hope the owner found a unit with aircon.. cos back then, car aircons were expensive options and few pple would want to fork out the money for it. Eg pay USD$500+ for aircon setup when the whole car cost ard < US$5000? Muscle cars motor sports are for everyday folks like you and me. F1 are for the snobbish European Elites who thought they owned the world. Simple drivetrain that makes alot of power. Go and learn from the Birmingham International show how to do an International Car show. Then they keep all cars locked up. Like dogs we see the car from outside.Like that, better I go to Naza Automall ont he Federal highway on a weekday and look at the cars there. Free and no need to waste my money buying tickets. Instead of coming out with remote control car toys for people to play with, better for KLIMS to ask the government where is the 30% reduction in car prices promised by Najib before the election. 30% is supposed to be given gradually over the period of 5 years. By now, we should be seeing at least a 5% reduction in car prices. But we see car prices going up pulak. VW and Toyota increased the prices of ALL their cars recently, for example. The public want to know where is the 30% reduction as promised by Najib. We are waiting for that. To most people, car prices are the sole and ONLY important factor when cars are concerned. They are not interested in anything else like networking, shampoos, car tyres and all other nonsense. Most International cars shows are to exhibit latest cars and technology to the public. But our car show it seems is for remote control cars. KLIMS should give all those visiting ita show an answer as to when car prices are going down as promised by our PM prior to our election. Tak payah cerita banyak banyak. Lets face it, though we are all car enthusiast who love Paul Tan, car prices supercede all other issues. Car prices are more important than all this remote control car joke. Definitely, i will be there..
Don’t name it as KL International Motor Show, please name it KL Domestic Motor Show or KL Motor Accessories Show! oh racing simulator, youll have one kid playing it and his parents will be standing beside him, along with his 40 siblings and that single person will be using it until the show ends at night. Tamiya wor, best event there I think. Yeah, will be there just for that. You play Mini 4WD? I thinking picking up the hobby once again. I am more incline towards their scale models, I collect WW2 weaponary models(majority tanks) and hotwheel cars. Had one Tamiya Ferrai F40 once in 1:16 scale, until my mom accidentally drop it rendering very damaged front end. I don’t play RC cars as I believe is a very expensive hobby, but I do enjoy looking at the detail on the models and the driving skills of the pros. Im sure my friend Tamiya Tan will be there. He will be accompanied by close friends and neighbours as well like Accord Ang, Camry Chong, Passat Phua and Teana Tay. Simply amazing and marvellous…have fun guys! Without Proton at KLIMS of course it is far more fun and joy!!! Junk car show. With the new implementation of scrap car policy, all this stupid classic junk can sell by weight at balakong scrap dealer. They should call this Kuala Lumpur Junk Car show. any chance of seeing koenigsegg over there?? ?